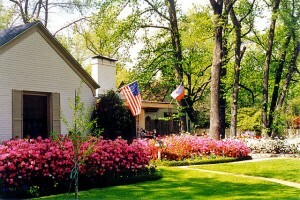 The Cambridge Bend Estates is situated in the great city of Tyler, in the state of Texas. It is home to the largest rose garden in America, which might have something to do with why Tyler is called, ‘The Rose Capital of the World’. This neighborhood mostly consists of middle aged people, but it is still home to many other age groups. It is largely dominated by a white collar working class, which explains the high number of college graduates. The homes here range from traditional to custom, depending on your particular preference. The average household income is about 75,000, and their crime rate is well below the national average, making this a great and peaceful place to call home. In order to call a place home, it must contain more than a house that suits your family’s needs. It must also be a place where your children will be safe and educated correctly. Cambridge Bend Estates offers great schools, such as Rice Elementary. Next on the list is Hubbard Middle School. This school not only offers a great education, but a chance for your children to interact with many cultures. This is a great way to expand their knowledge of the world. When it comes to high schools, Cambridge Bend Estates offers the great school Robert E. Lee High School. This school has made sure that most of their students score above average in their test in all the core subjects. It also does not shy away from providing children with the right kind of high school experience, because they have over 20 different clubs and organizations. The clubs include a Bible Club, German/French Clubs, Art Club, Robotics, Criminal Justice Club, Thespian Club, Young Republicans and many more. The Cambridge Bend Estates offers large beautiful lots for their residents. They have community events and even a large community pool. The homes in Cambridge Bend Estates start at roughly 300,000, which make them affordable. The homes are situated in a place full of scenic value, and plenty pine trees. If you want blueberries in their ‘rawest’ form, then the Blueberry Hills Farm is near the community. Every year around June and July you can take your whole family to pick your own blueberries. There is also the Caldwell Zoo, which houses more than 250 species of animals from all over the world. For those of you seeking a bit of a rush there is the Adrenaline Rush Zip Line, that goes over water, but don’t worry there are experts there to ensure your safety. There is something for everyone in Cambridge Bend Estates including the Ballet Tyler, which exude quality performances. With all the wonderful benefits and extras Cambridge Bend Estates offers, this would be an ideal place to call your home.